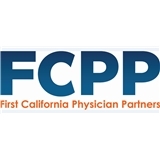 FCPP Primary Care - Yorba Linda (Yorba Linda) - Book Appointment Online! It's been 3 years since we moved to CA. Arranging appointments and visiting Dr. Chamberlin has been very easy, clear cut and hassle free. No disappointment at all. If you request to see if there's a cancelation, that works well, too. Our family is extremely happy with our visit to Dr. Chamberlin.